These are the gasholders at the old Bell Green Gasworks. 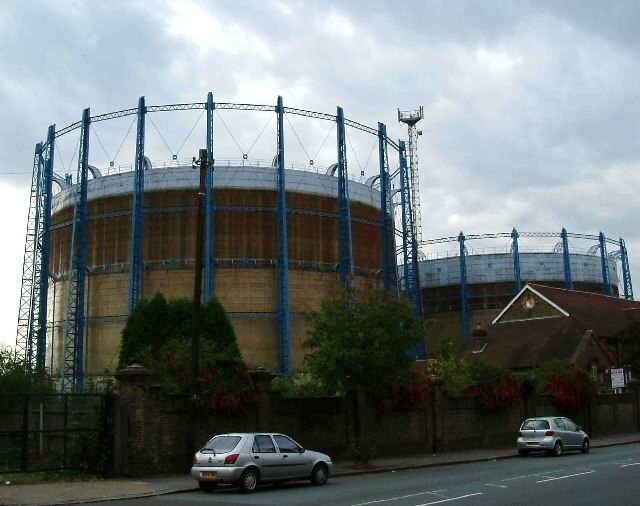 My Dad worked for British Gas, woe betides anyone who referred to structures like these as gasometers. They don't meter anything he would retort! This page has been viewed about 425 times.